The compatible cartridges for your printer HP Deskjet 2620 is the Black & Tri-Colour HP 304XL Ink Cartridge Multipack - (N9K08AE & N9K07AE). If we can be any further assistance do not hesitate to contact us. Unfortunatley we're not technically trained on the machines as we don't sell them, however please find the link below to the manual, this may help? An all-in-one entry-level machine, the HP Deskjet 2620 is designed to suit the needs of most home users and students. Complete with print, scan and copy features, the machine can do it all efficiently and with minimal user input. A compact device, the machine offers image quality of 4800 x 1200 dpi in colour and 1200 x 1200 dpi in black and white. The HP Deskjet 2620 connects wirelessly to most computers, but does have the option to connect via Ethernet LAN cable and high-speed USB 2.0. The machine is easily installed and operated through an Icon LCD display and keyboard. The HP Deskjet 2620 is a compact machine designed to fit on most desks. Measuring 16.7 x 12 x 6 inches and weighing just over 3kg, the machine is portable. It can support paper up to A4, as well as being compatible with B5, A6 and DL envelope sizes. The standard paper tray holds a maximum of 60 sheets and the output tray stores 25 sheets. As an entry-level device, the machine can process up to 5.5 colour pages per minute and up to 7.5 black and white pages per minute. 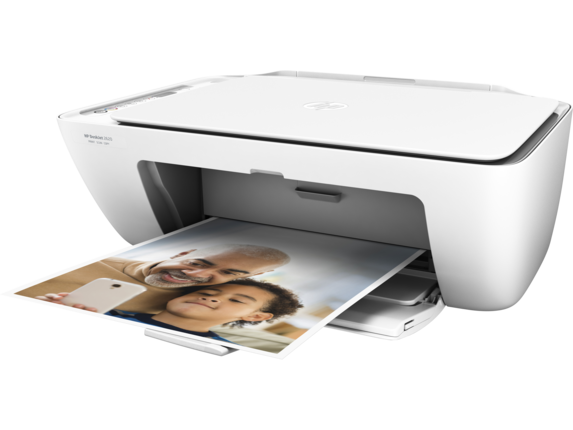 The HP Deskjet 2620 is a good starter device for students and families. It has a selection of functions and is simple to operate and install. The image quality is good for this type of machine with colour photos showing good clarity. The costs for operating the machine are also relatively low. With this variety of features in one compact device, the HP Deskjet 2620 sacrifices some functions. The machine does not include a duplex automatic document feeder and requires user input when printing double-sided sheets. It also has limitations in both storage and printing speed, but that would not affect most student users.